Posh Play: Simple Advent Wreath Idea. Without the Wreath. We are back from our marathon drive to Utah for Thanksgiving. For all the naysayers out there. Baby Posh Play did great! He especially liked the Loves Truck Stops along the way. All the cheezy souveniers and interesting people. He is a fan. Once we got home I geared up into serious unpacking and holiday decorating. 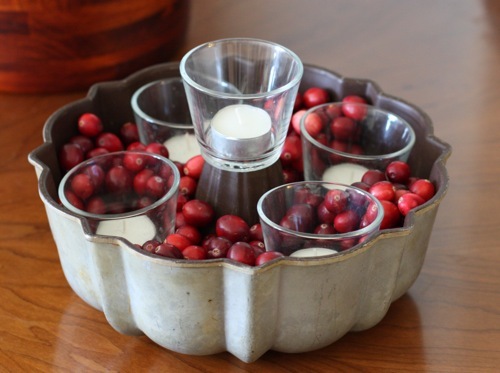 I was on a search for a cute Advent Wreath idea and finished mine before I saw this one. How cute is this? I might have to steal this idea for next year! 0 comments on "Simple Advent Wreath Idea. Without the Wreath."